I found this recipe the other day while seeing what my fellow canners and foodies were up to. Check this site out ~ Potlicker. Man, are there some amazing blogs out there with gifted writers and photographers sharing lots of tasty recipes. I wish we all lived closer together! Wash and peel ginger. I used a regular peeler but Potlicker recommends the back of a spoon and I may try that next time. Reserve the peel to add to the ginger water to make the ginger ale syrup. Mix 1 cup of sugar and 8 cups of water in a stainless steel saucepan and bring to a boil. Throw the ginger slices into the boiling water and reduce heat to medium and simmer lively for 35 minutes or until pieces are tender but still crisp. I started checking the pieces after 20 minutes…and, I don’t think you would need as much time if you did a smaller batch…maybe 20 minutes. 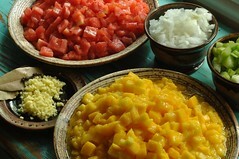 Remove the ginger pieces using a slotted spoon and place in a sieve. 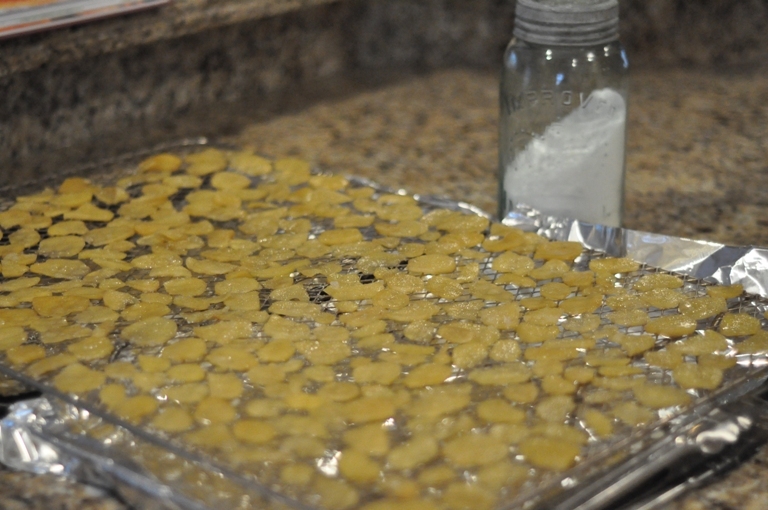 Let them drip over a bowl to drain any excess liquid. 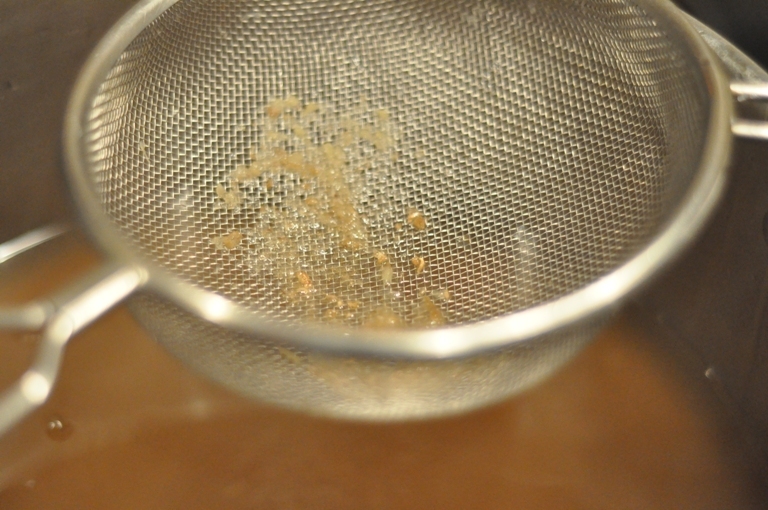 Then sprinkle the sugar in the sieve/colander. Place each piece on a rack to dry. Dust again with sugar if necessary. Leave to dry over night. The next day check to see if they are dry and then sprinkle again with sugar and place in an air tight container to store. A few things didn’t turn out quite the way I would have liked. One, I had a little difficulty applying the sugar and really didn’t know why it wasn’t working for me. But, I’ve come to conclude that the peels were too wet when I started to put the sugar on; causing it to become more like a syrupy mess to top than like sprinkled sugar. It’s okay, I ended up putting the sugar on after they were a bit drier…the next day. Two, I cut my pieces too thinly and after looking at Potlickers posts again realized that next time I will make them a little thicker. Again, it is not a disaster…they taste great but I think if the pieces were a little thicker they may be a bit chewier. 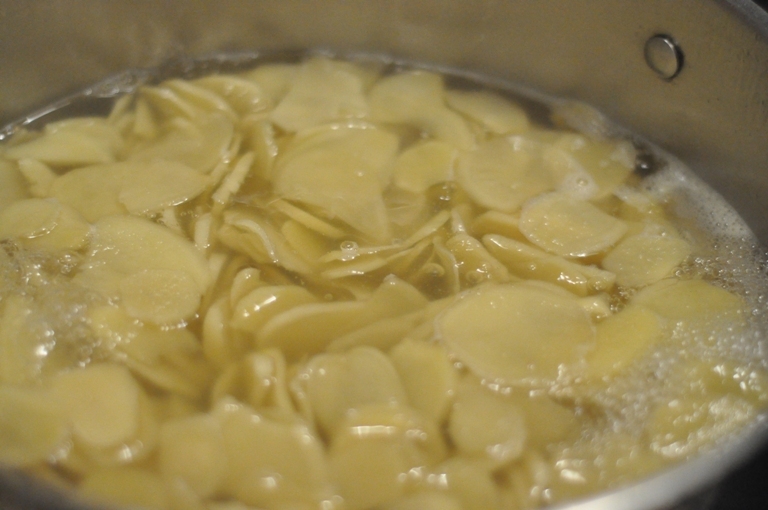 Using the left-over ginger water from the ginger candies add 4 cups of water and bring to a boil. Add the ginger peels and bring back to a boil. Simmer for 5-10 minutes until the ginger flavour is strong and the water is a browny colour. Remove peels by pouring the liquid and peels into a colander over a bowl saving the liquid/syrup. 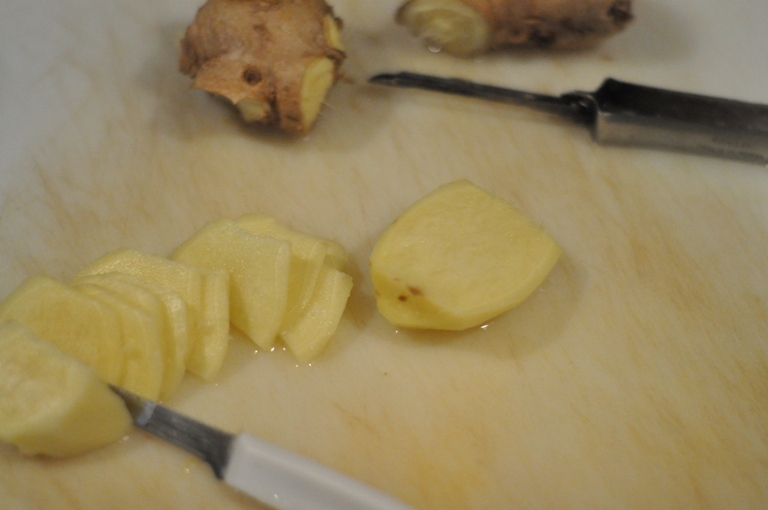 Pour through a finer sieve into your pot to remove any smaller pieces of ginger peel. Place the syrupy ginger liquid back into the pot adding 1 cup of sugar. Add any sugar from your ginger candy sprinkle session. Bring back to a boil and reduce. 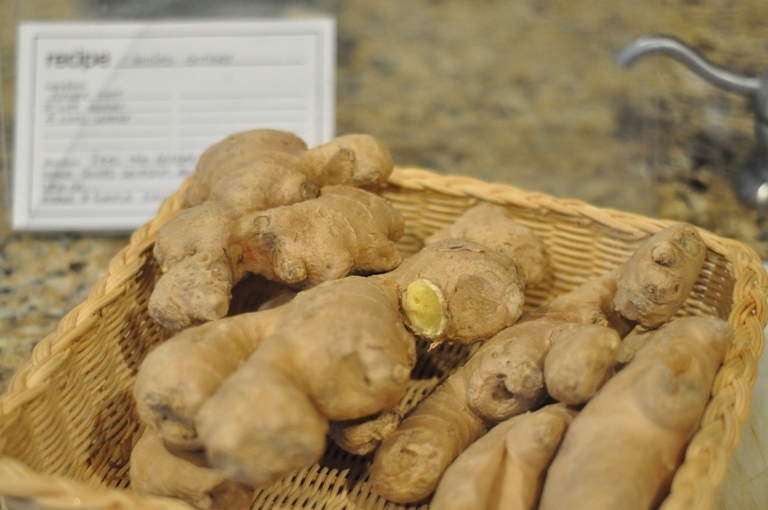 Check your ginger water for sweetness and adjust accordingly. Reduce by approximately half about 20-30 minutes on medium-high heat. The liquid should be the consistency of warm honey…like a thick syrup. Bottle the ginger syrup and store in the refrigerator. It should keep well for some time because of the high sugar content. Mix the syrup with carbonated water to make your ginger ale drink. First, pour a little of the carbonated water with the ginger syrup and then top up with carbonated water…this way, you will keep the fizz. How strong you want it is up to you!! And, that is that!! The liquid is syrupy and strong despite the fact I added more water. I will let you know how it tastes with the carbonated water. 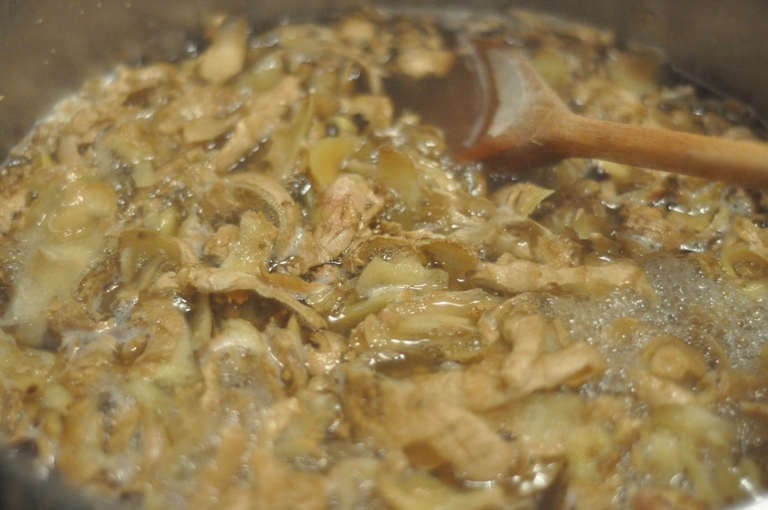 ← Another Batch of Sauerkraut!?! Oooooh my! That looks awesome! I never been a fan of ginger candy, but these look amazing. I must try!! Great post. 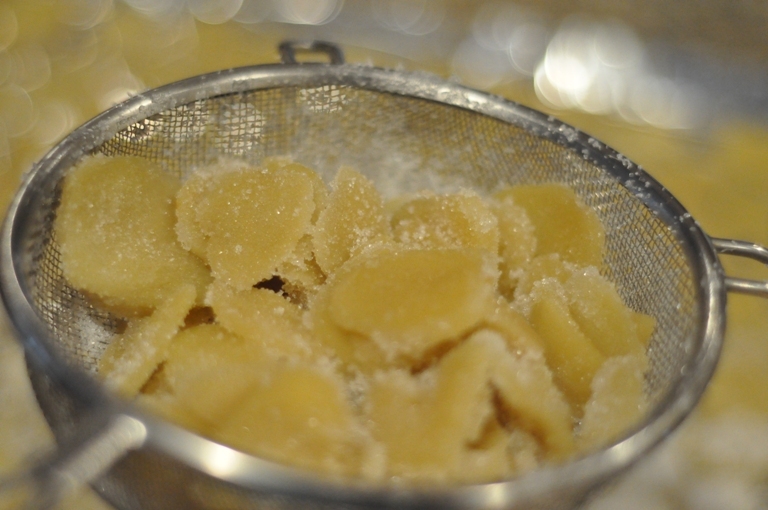 I have just begun making crystallised ginger and wondered what to do with all that leftover ginger water. Thanks. As for the crystallising process, I boil the ginger, drain most of the water, then put about 1/3 c of the water back in with an amount of sugar equal to the weight of the ginger. Stir and heat until the water is absorbed. This way, you get a beautifully coated ginger piece with a dense sugar coating. Lovely and delightful! Thanks for your suggestions…I will give that a try next time. Your preserves look lovely! just stumbled upon this article and your site. 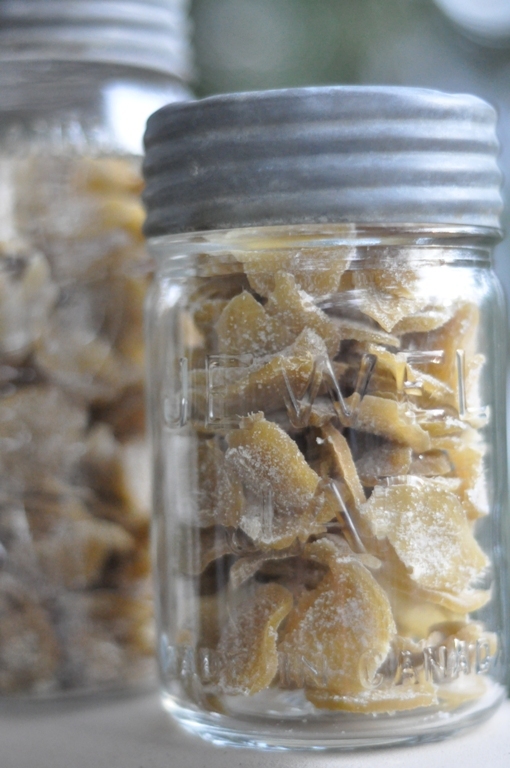 Made my first batch of crystallized ginger pieces this morning and after removing the ginger to dry on a rack…wondered what can I do with this water? It smelled delicious and tossing it didn’t seem like an option. Little did I imagine that it could be used to make my favorite soda drink, ginger beer. I will have to experiment because the ginger beer from the Jamaican place nearby is just too sweet.